Vote AestheticsInMotion for president 2020! My first order of business will be to instate a new policy requiring anyone found guilty of “rolling coal” to be human-centipeded with other coal-rolling offenders. The dude in the bro truck (of course it’s blacked out, covered in stickers, lifted, police support, improperly secured ladder, etc.) 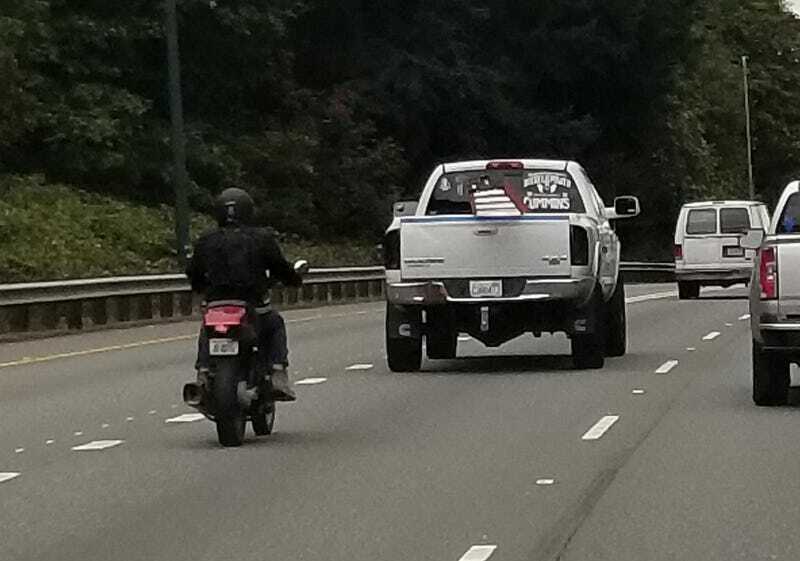 almost crushed the biker when *passing*, then proceeded to let loose a fat cloud of black smoke for the next 10 seconds. I wonder if I could find someone on Craigslist to track them down and slit their tires... Every week for the next ten years. Unfortunately I didn’t manage to get the plate, although I doubt police would do much about that kind of call.